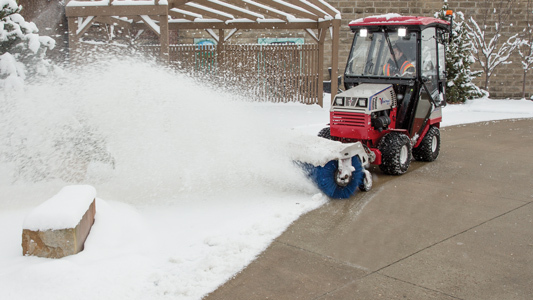 The 52" wide Ventrac KX523 Snow Blower is built for commercial snow clearing operations of sidewalks, driveways, and other areas. 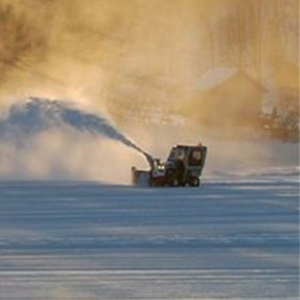 A two stage snow blower, the KX523 features a 16" diameter solid auger for best snow transfer, a large 20" diameter fan, and the ability to move 4500 pounds of snow per minute at distances up to 40 feet. Standard features include adjustable cast iron skid shoe discs at the rear, high carbon hardened steel shoes at the side, and a reversible high carbon hardened steel cutting edge. The hydraulically activated discharge chute can rotate 220 degrees, all from the convenience of Ventrac's exclusive S.D.L.A. control system. 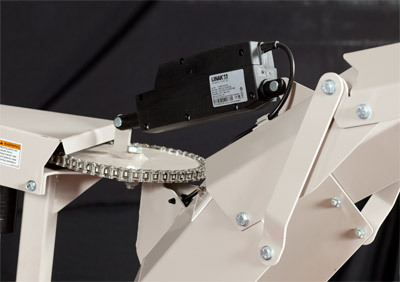 Chute deflection is manually adjustable. 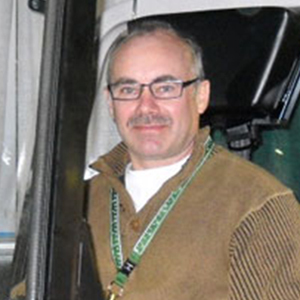 An electric chute deflection controller is optional. Built to handle all snow conditions, from light snowfalls to winter's wrath. 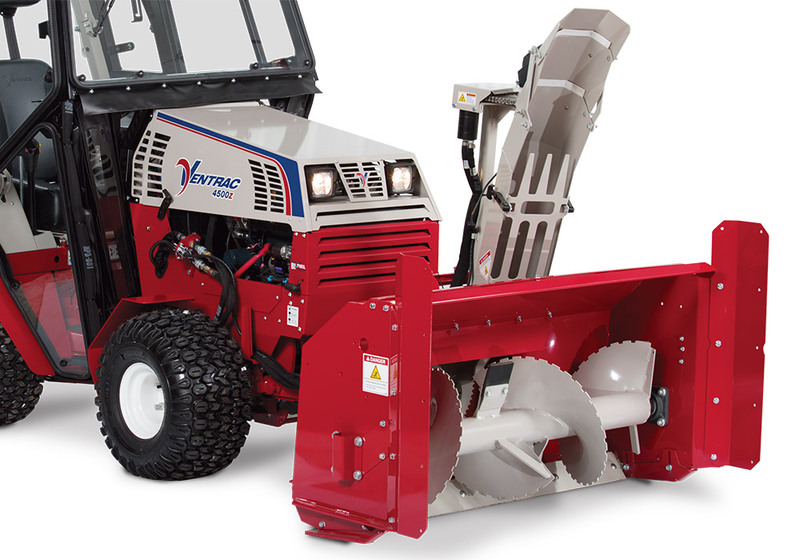 Ventrac gives you a peace of mind for easily clearing snow. See raw footage of the KX523 snow blower in action clearing off sidewalks, driveways, and parking lots. What happens when 100 pumpkins go through a snowblower? 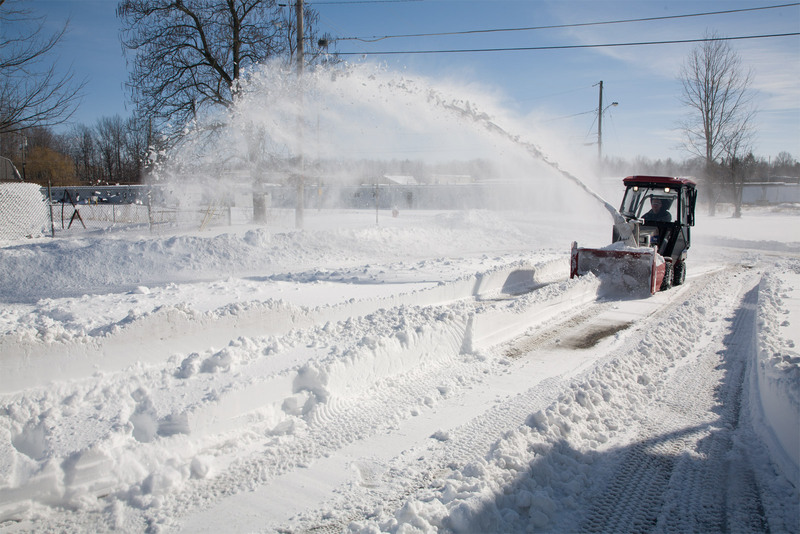 The KX523 Snow Blower is built for when the snow accumulation becomes deep and compacted on sidewalks, driveways and other areas. 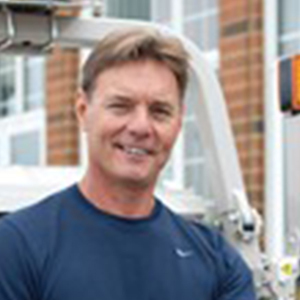 On this Ventrac In Action video shoot, we showcase the capabilities of our machine in extreme weather conditions. Extreme snow performance means the Ventrac tractor and its attachments are built to handle all snow conditions, from light snowfalls to winterâ€™s wrath. 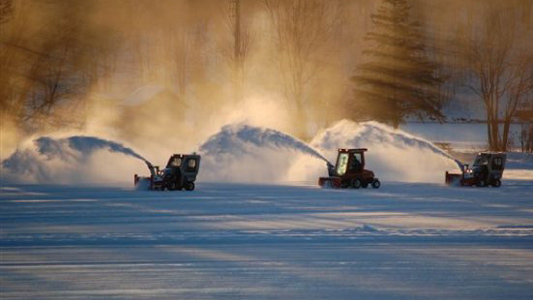 Ventrac equipment help clear a frozen pond for the Canadian National Pond Hockey Championships in Ontario, Canada. Enlarge Picture / Press Link · Ventrac 4500Z Snow Setup with Snowblower - Winter hands you its worst. 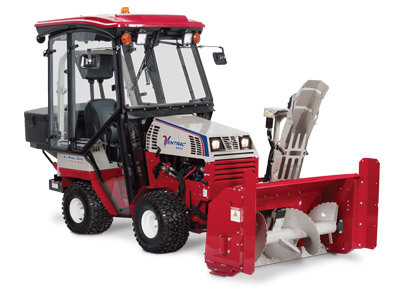 You answer with the Ventrac 4500 with snow package including the powerful KX523 Snowblower. Enlarge Picture / Press Link · Ventrac 4500 with Snowblower - Snow over two feet deep is no match for the Ventrac Snowblower. Enlarge Picture / Press Link · Ventrac 4500 with KX523 Snowblower - The Ventrac Snowblower can send snow up to 40 feet away from you for ultimate clearing capabilities. 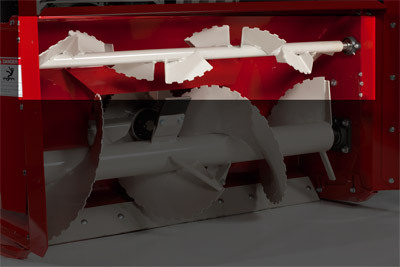 Enlarge Picture / Press Link · Optional Upper Auger Kit for the KX523 Snowblower - For when the snow is really deep and you need just that little extra power. Enlarge Picture / Press Link · Ventrac KX523 Snowblower - The 52" wide Ventrac KX523 Snow Blower is built for commercial snow clearing operations of sidewalks, driveways, and other areas. Enlarge Picture / Press Link · Ventrac 4500 Tackling Winter - All-wheel drive, heated cab, powerful snow blower, and the reliability of a Ventrac gives you the advantage over winter. Enlarge Picture / Press Link · Ventrac 4500 and snow package KX523 - A two stage snow blower, the KX523 features a 16" diameter solid auger for best snow transfer, a large 20" diameter fan, and the ability to move 4500 pounds of snow per minute at distances up to 40 feet. 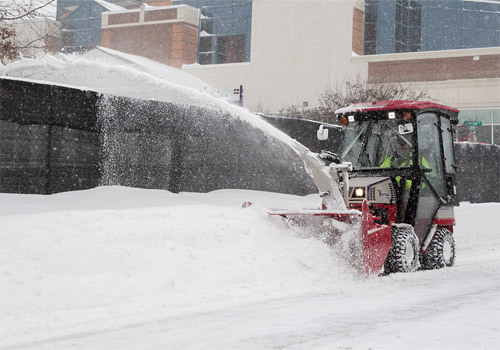 Enlarge Picture / Press Link · Ventrac 4500Z using KX523 Snowblower - The powerful auger and chute allows you to easily toss snow over high retaining walls and out of your way. 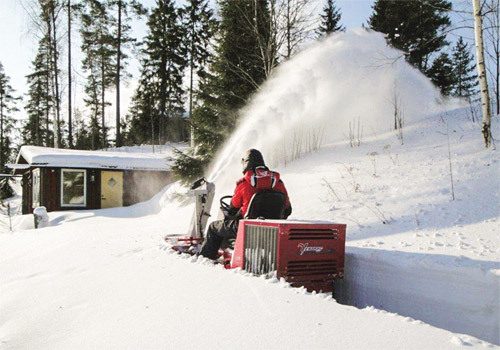 Enlarge Picture / Press Link · Ventrac 4500 and KX523 Snowblower takes on Winter - The hydraulically activated discharge chute can rotate 220 degrees, all from the convenience of Ventrac's exclusive S.D.L.A. control system. 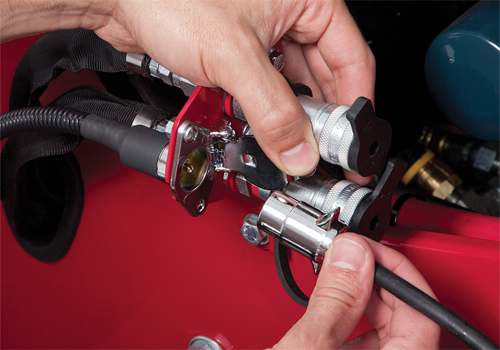 Chute deflection is manually adjustable. 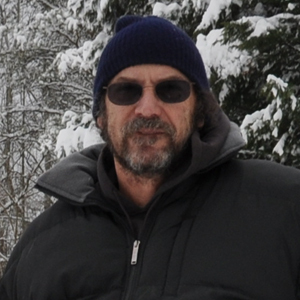 An electric chute deflection controller is optional.